I’m procrastinating. Or maybe I’m percolating. 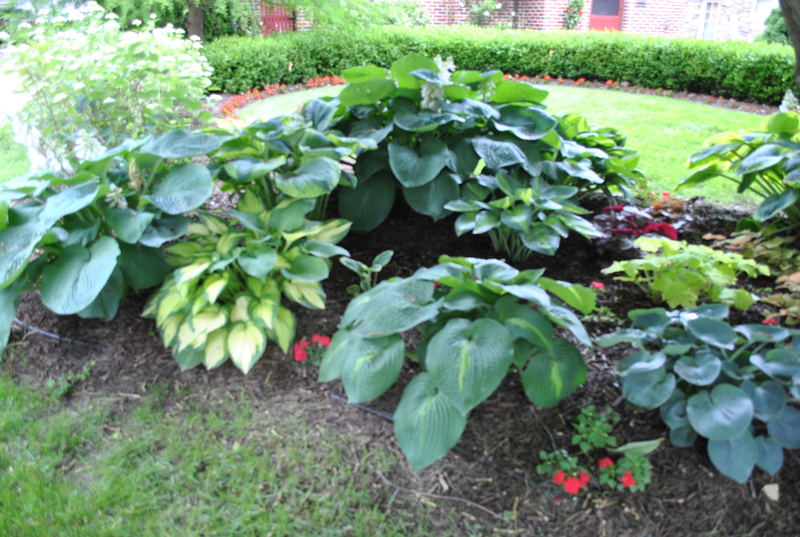 At any rate, I’ve decided to survey the hostas. 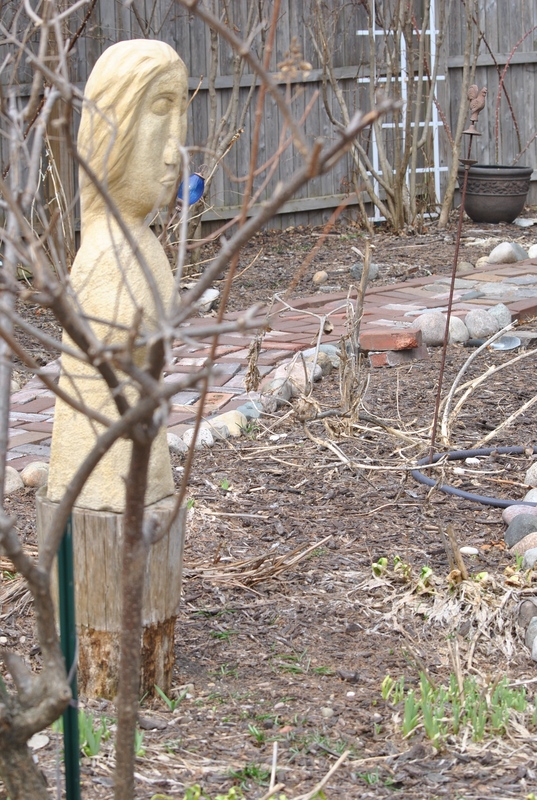 In the Secret Garden: Far right is Dream Weaver. In front of it is June, then Stained Glass, Krossa Royal (next to the garage), then Francee, and Great Expectations sits to the back of this photo. 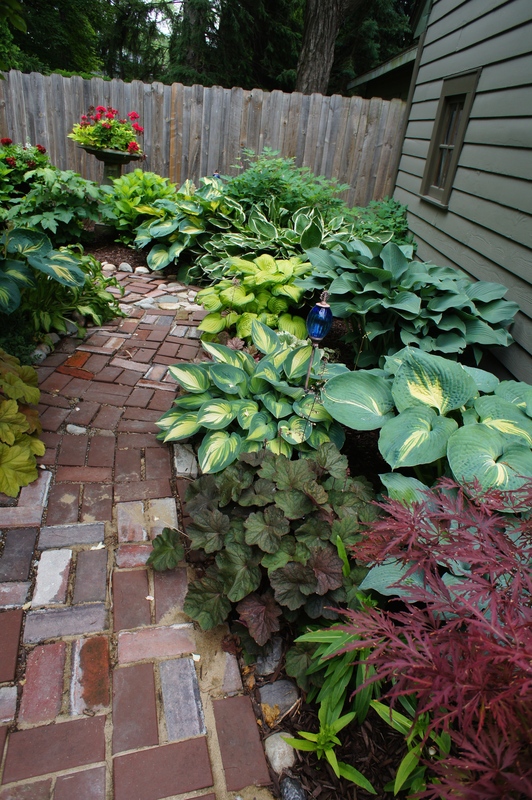 There are, of course, astilbe and heuchera mixed in, not to mention hydrangeas and a big old bleeding heart. 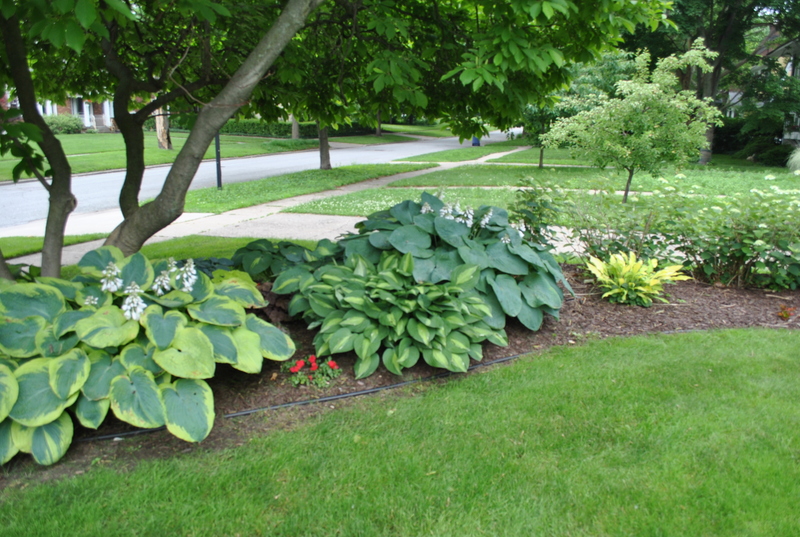 The large hosta in the rear is a division of Elegans. In front of it to the left is Francis Williams. Left of Francis is another Elegans (I keep dividing this monster!). 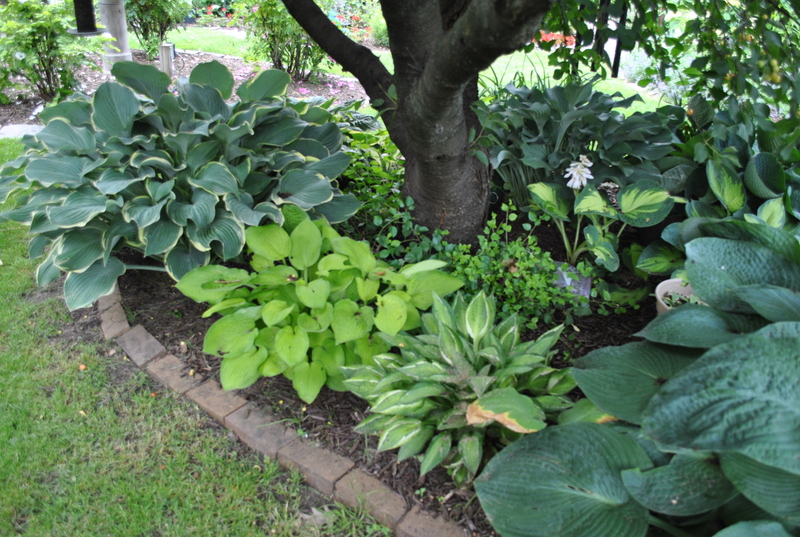 The left front hosta is Orange Marmalade. Center front is Lakeside Beach Captain. On the far right is Wheaton Blue. 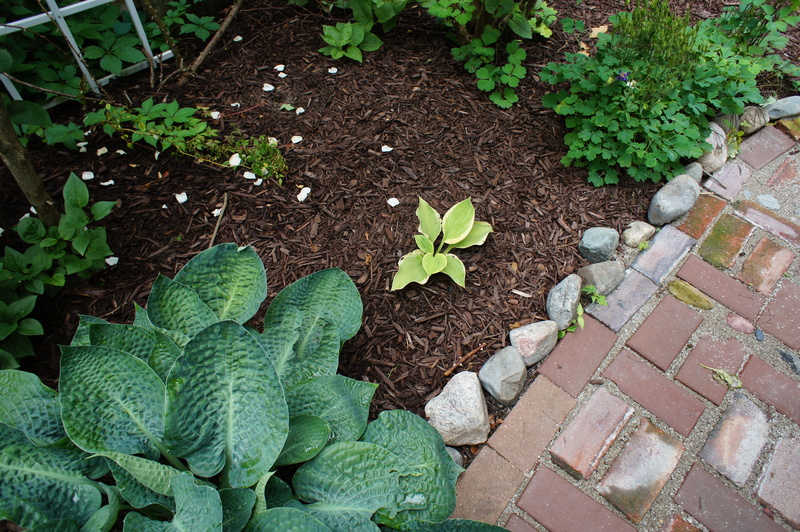 Lower Garden: Another shot of Elegans. To the right of it is Stained Glass. And on the far right is Abiqua Drinking Gourd. Peeking out behind Stained Glass is another Dream Weaver. 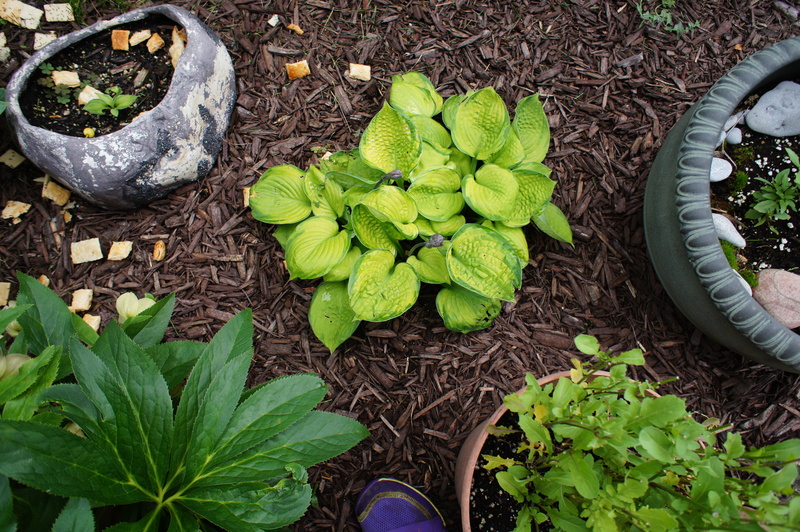 Lower Garden: Strip Tease and a mystery hosta that a friend gave me. 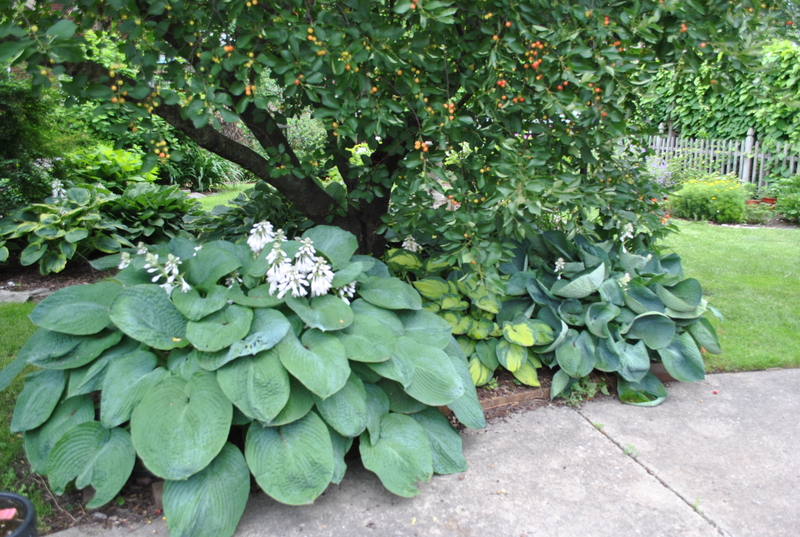 That’s a Francis Williams to the left of the mystery hosta. 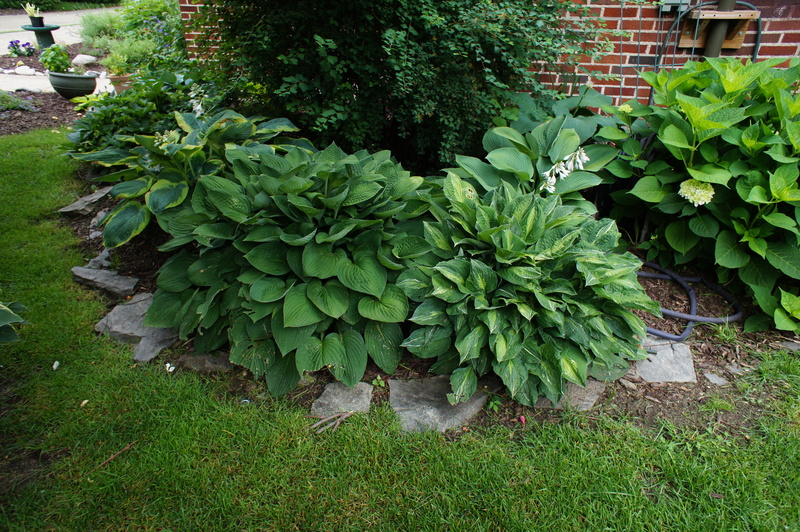 I think the hosta behind Strip Tease is Ryan’s Big One. Lower Garden: Halcyon in foreground, Elegans on the right under the cherry tree, Hanky Panky (though it’s hard to see in this shot), and Regal Splendor to the left of the cherry tree. Front Garden: On the left is Francis Williams. Next to it is Lakeside Beach Captain. On its right is Elegans. And tucked away next to Elegans is Pineapple Upsidedown Cake. Secret Garden: Allegan Fog, Silver Threads and Golden Needles, Stitich in Time, Ghost Spirit. Behind these is Dream Weaver. 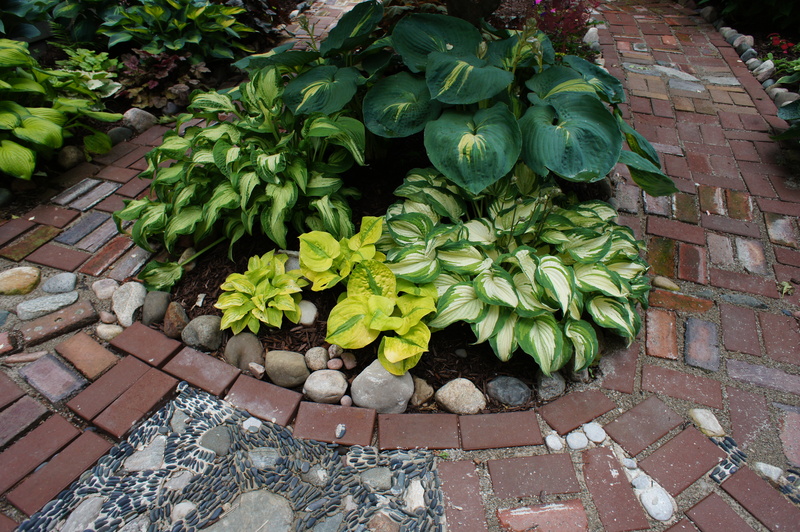 Lower Garden: Lucy Vitols in the center. That’s Rhino Hide in the pot to the left. I’ve almost lost it twice, but it comes coming back from the brink. There is a Kaleidechrome almost hidden by the pot of argula. There’s a bit of Thai basil peeking out of the pot on the right. It’s been a tough winter, the toughest in a couple of decades. More than 100 inches of snow fell on the garden this year. And temps hovered around zero degrees Fahrenheit for too many weeks. 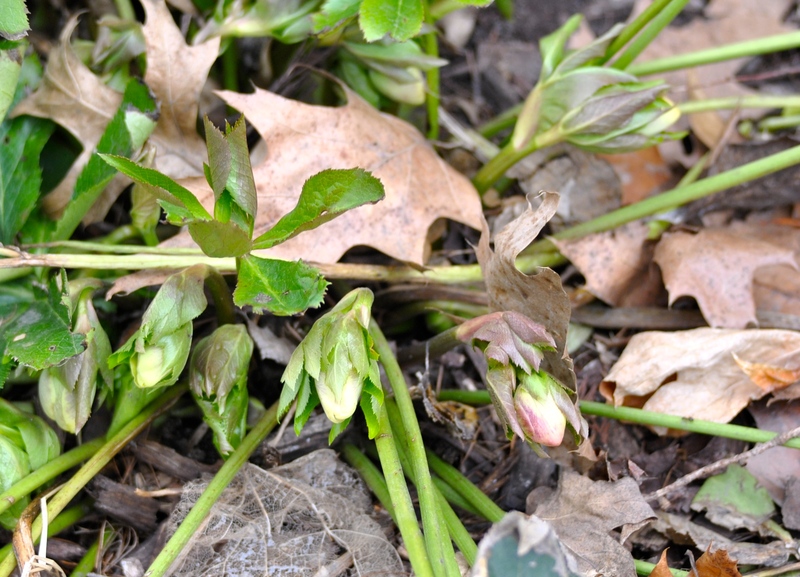 Snow can protect perennials and I’m confident that most of the plants in the gardens survived the winter. But the bitter cold has taken a toll. 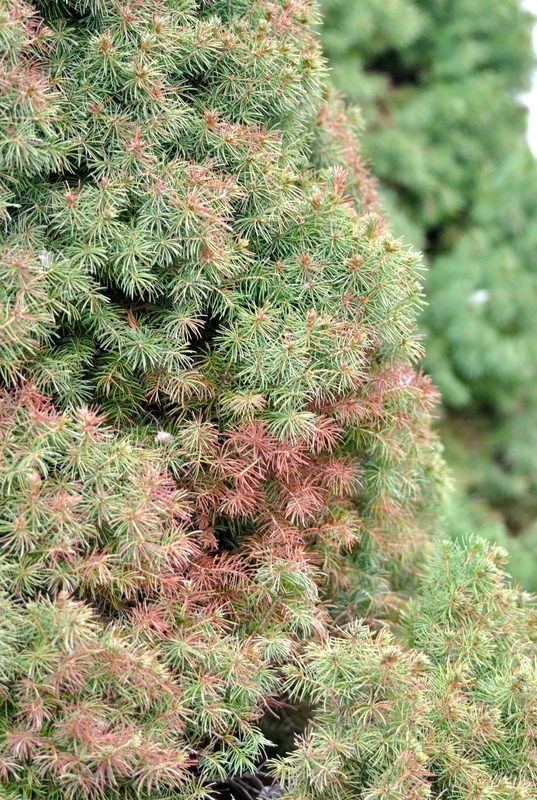 One of the dwarf alberta spruces in the entrance garden is showing winter burn damage. 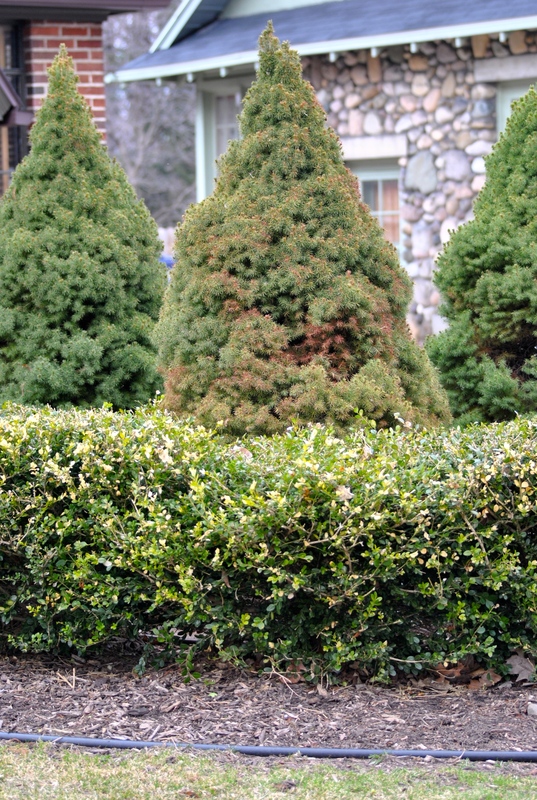 It’s too soon to tell whether the bush will fill in a bit. 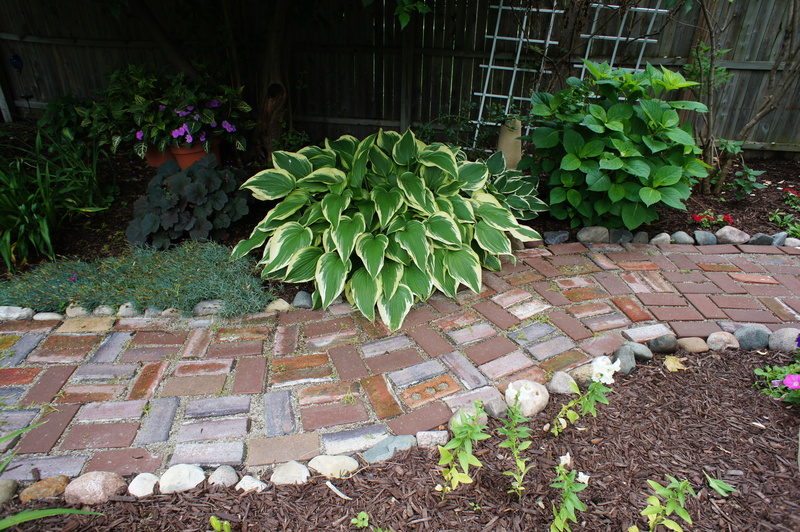 This will be an issue of disguising damage rather than any hope of regrowth. Dwarf albertas do not “repair” burn damage. The boxwoods got burned, too, but I am less concerned about that. I’ll trim the burnt ends and the hedge will be none the worse. 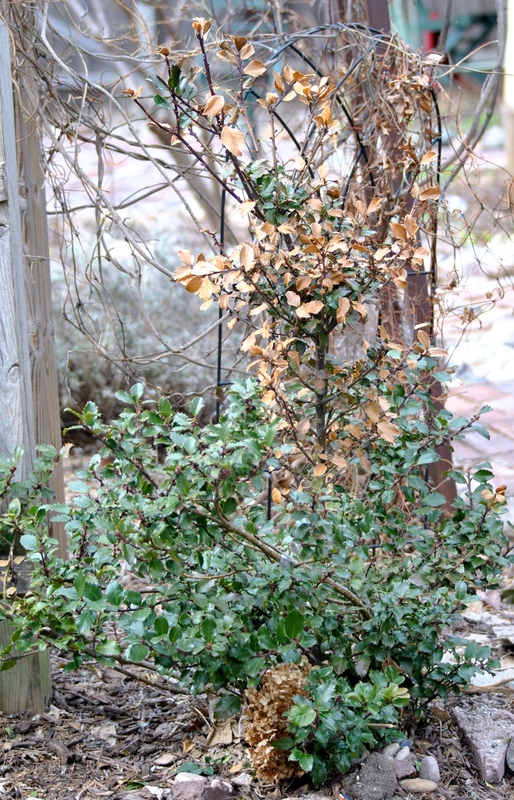 Also damaged were a couple of holly bushes. These I am even less concerned about. There never thrived where they were planted, and, truth to tell, if they had thrived, they would be a problem. So, I might just use this as an excuse to pull them out. My guess is that I have a friend who will give them a good home. But it isn’t all sad news for the garden. 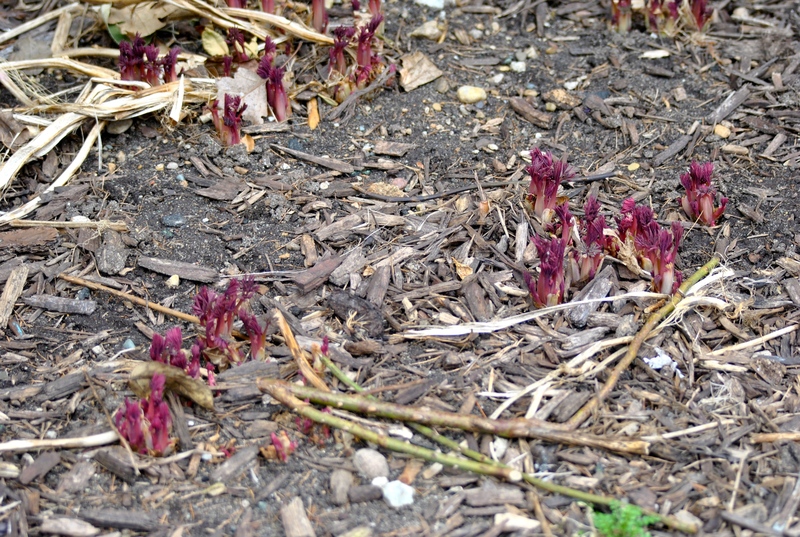 Lots of things are starting to poke their heads above ground. 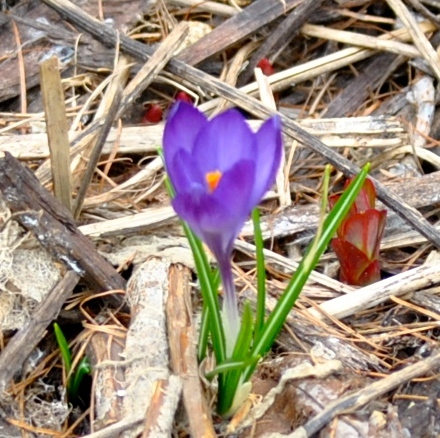 And I even spotted a wayward crocus blooming. This is a volunteer or, perhaps, a remnant from long gone days before my gardens went in. 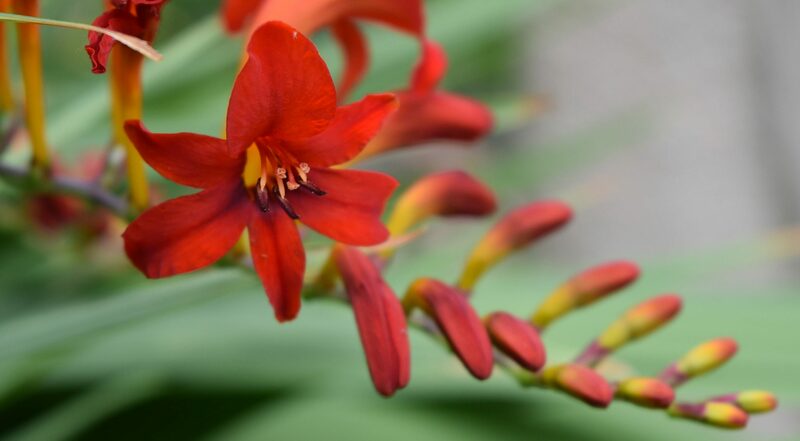 And the day lilies are coming up. So, in a few weeks, everything will have filled in. And, I’ll be able to finish the pathways. How I have been looking forward to that! 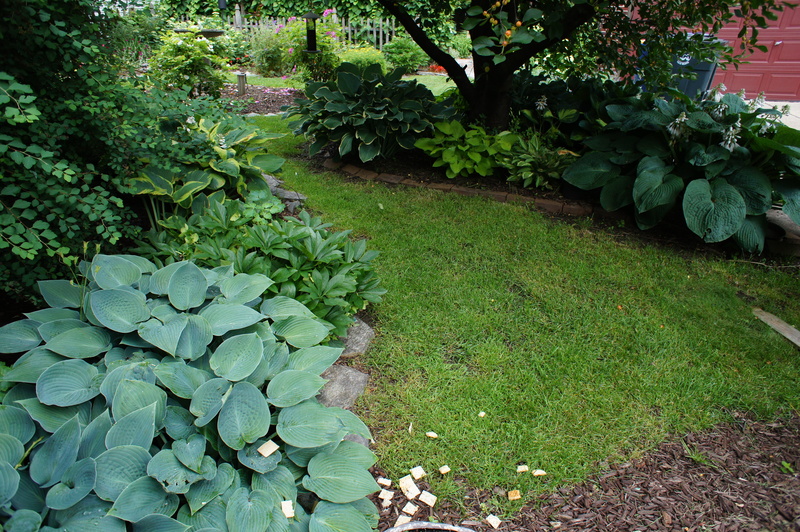 Soon the day lilies will be filling this spot! Also coming up are the dicentras. In a few weeks those lovely branches full of pink hearts will arch gracefully. Bleeding heart popping up in the corner garden.